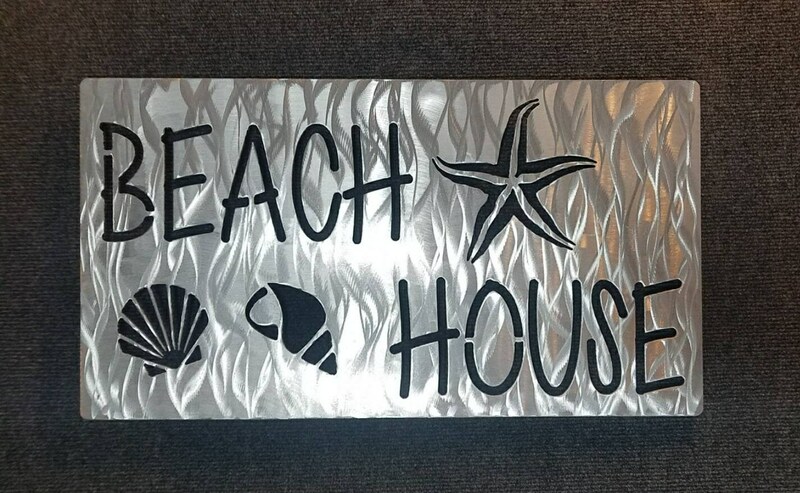 Our Metal Beach House Sign is a perfect addition for the beach lover in you. 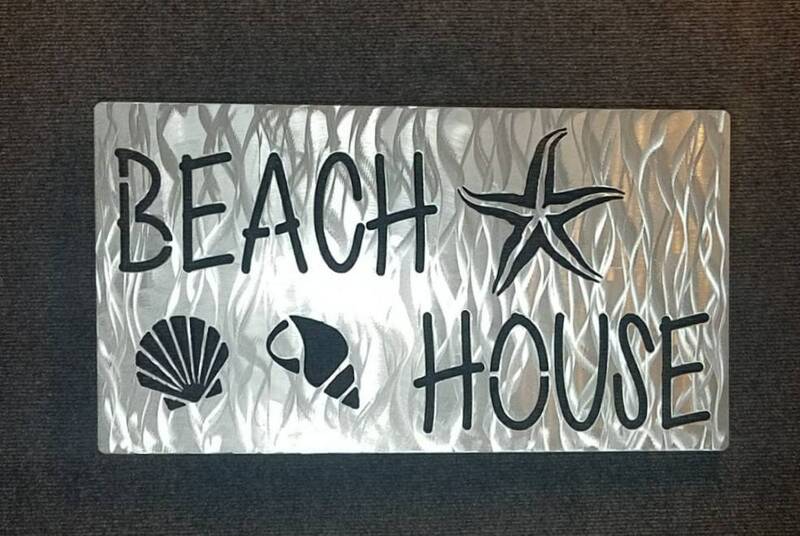 Featuring whimsical sea shells and a playful starfish, this attractive sign is 22" wide by 12" tall. 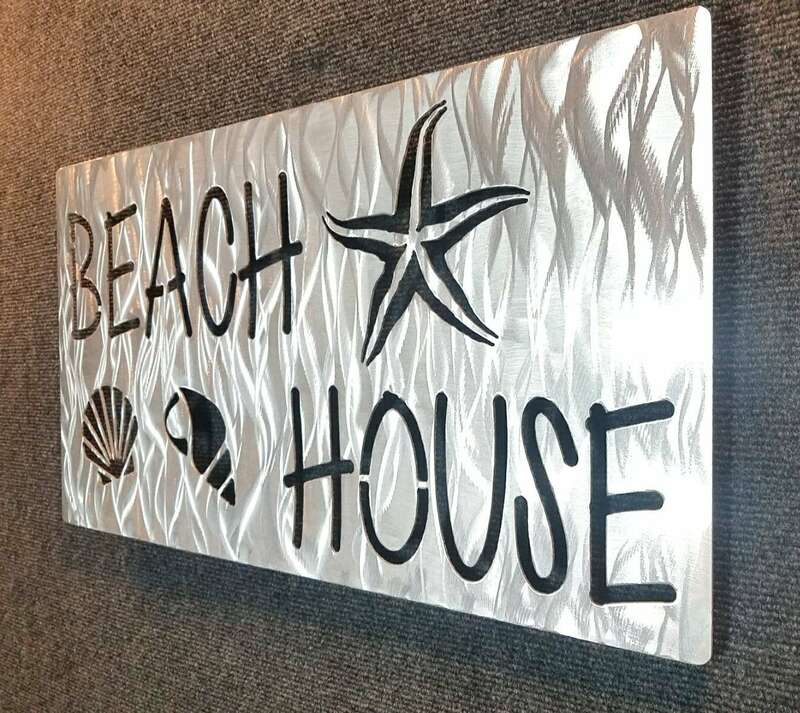 Plasma cut from 16 gauge aluminum, our Beach House Metal Wall Art is then hand ground to add depth and dimension to the piece. For those of us familiar with the salt air, we know what salt can do to steel over time. 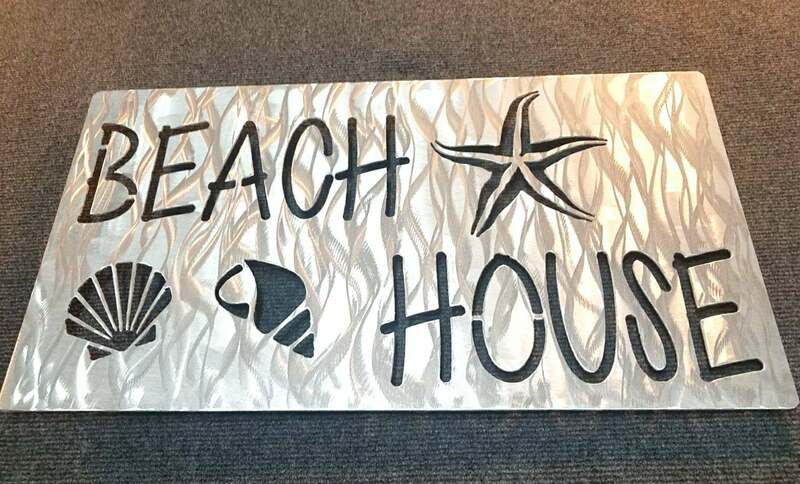 That's why we've created our Beach Sign using aluminum rather than steel. Aluminum reacts to the elements differently and is therefore not susceptible to rust. 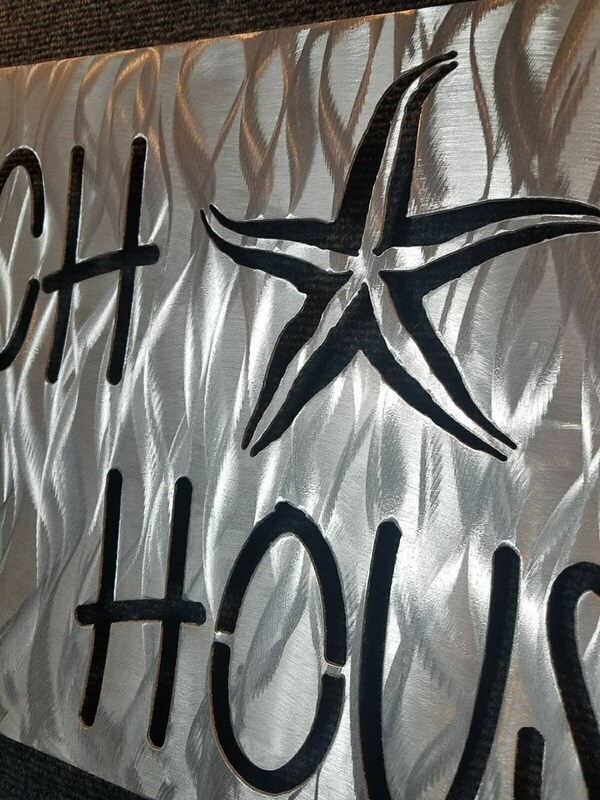 Many of our signs feature a hanging system installed on the back. 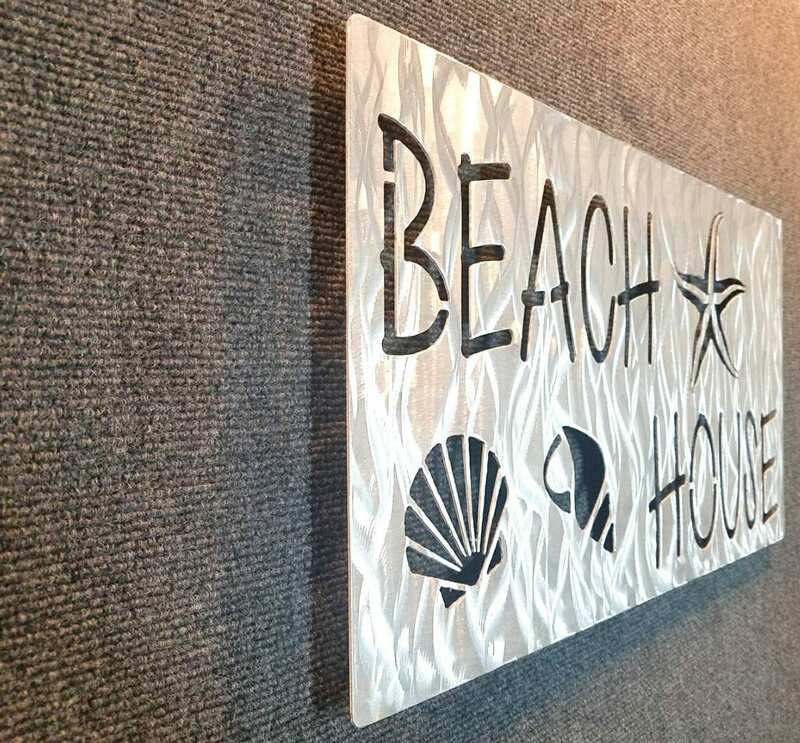 Simply place your sign in a desired location, and press the pins into your drywall. 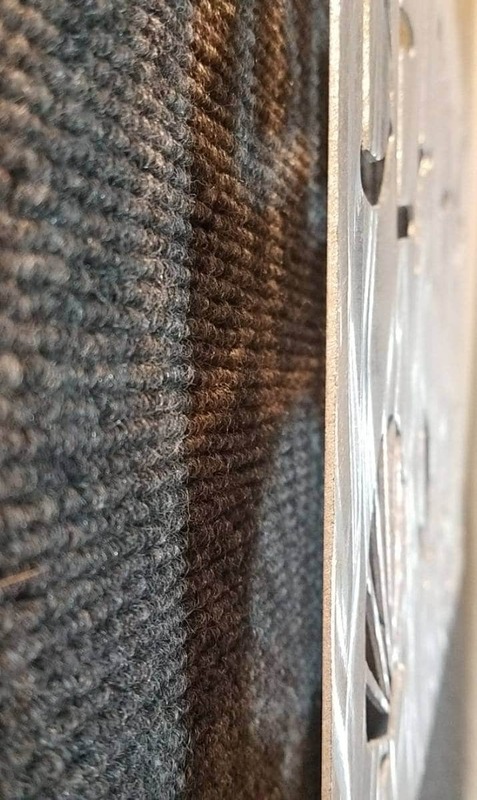 Using a small nail to pre prep the hole usually makes this a little easier. Once your sign is in place, it will appear to be "floating" in front of your wall rather than lying flat against it. For those who may live directly on the coast, aluminum can "pit" over time, leaving a chalky appearance to your aluminum. 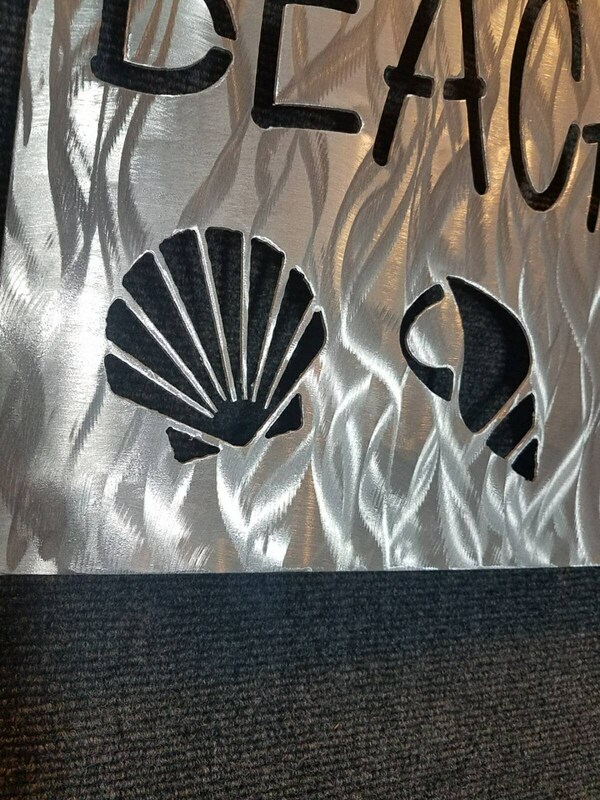 If you're concerned with this occurring where you choose to hang your sign, we do offer a clear powder coat option to protect your aluminum for years to come. Powder coat is a thick, sturdy material used to protect outdoor furniture, machinery, even household appliances. We find that powder coating offers more reliable protection for our pieces than paint. Quality item! Couldn't be happier with this artist's talent....came very quick. I love showing it off to company!